Garage Door Services Pensacola: Why Is Your Garage Door Off Track? Why Is Your Garage Door Off Track? 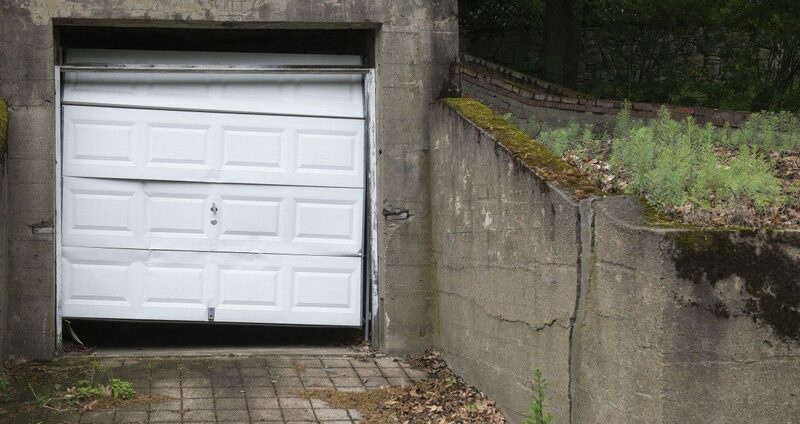 When a garage door comes off its tracks, it can be as simple as a single roller coming loose or as terrifying as your entire garage door falling over and crashing to the ground. There are a number of reasons that could cause a garage door to come off its tracks, typically requiring emergency garage door repair from a professional contractor. By understanding some of the common reasons behind the problem, homeowners can stay vigilant and nip any potential issues in the bud. Continuing on the subject, in this blog post we discuss three common reasons why a garage door may come off of its track. Homeowners, usually in a rush, who try to enter or exit the garage door can run into the door before it is completely open. When this sort of impact is put on the garage door, it not only damages the lower sections of the door but also shakes up the entire garage door system. This can result in a couple of rollers coming off their tracks, leaving the garage door hanging precariously from its lift cables. When this happens, contact a garage door company to put everything back into place, as DIY garage door repair can make the situation worse. While this is a rare occurrence, garage door lift cables can break, especially in an old garage door that hasn’t been used in a while. Lift cables are on each side of the door, and they wind around a drum that is attached to a steel shaft to raise and lower your door. Whenever garage lift cables break, the weight of the door is often transferred to one side. This usually results in one side of the door closing completely while the other side remains partially open. Routine garage door maintenance includes the inspection of the garage door cables, therefore, it is vital in order to prevent them from breaking. Misaligned garage door tracks can also cause your garage door to come off track. Tracks can become misaligned when the bolts holding the horizontal tracks loosen, causing the bracket to wobble at the slightest unnatural vibrations of the door. A misaligned track comes with an increased risk of the rollers coming off the track. When tracks become misaligned, a garage door contractor should be contacted to fix the issue. Remember, a garage door off its tracks is a hazardous situation no matter what caused it, so caution should always be taken when inspecting the door or mechanism. Whenever you are faced with a garage door off its tracks, it is best to let an experienced garage door company handle the repairs. If you are in need of garage door off track repair in Pensacola, Navarre, Gulf Breeze, and the surrounding areas, you can rely on RTS All American Garage Doors! Our garage door technicians have the knowledge and experience needed to fix off-track garage doors or any other problems. To receive a free estimate, contact our team today!